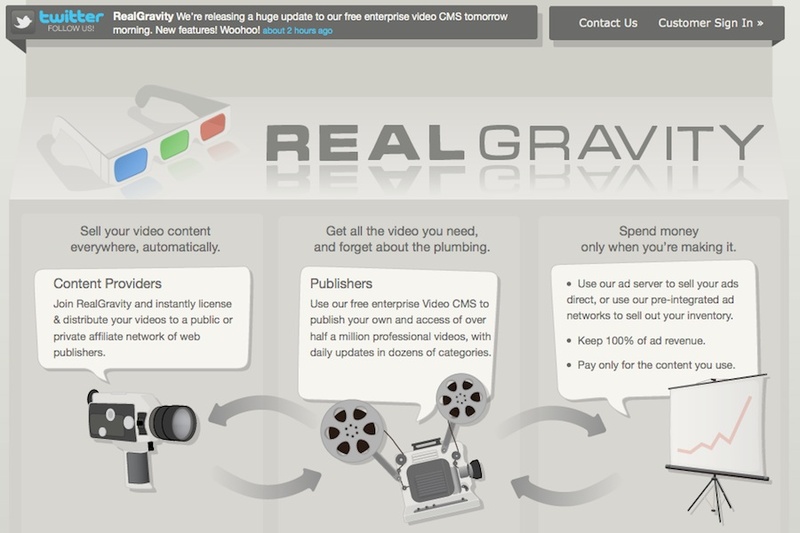 Online video distribution and monetization startup RealGravity is announcing today that it has raised $3.2 million in Series A funding and is opening its video marketplace to all publishers. The company, which hopes to provide an alternative to online video distribution platforms like Brightcove and Ooyala, has already won some major media business with clients such as NBC Sports, (s GE) Vibe Magazine, Howcast and Tribune. The funding, which comes from Kohlberg Ventures and individual investors, will create a platform for publishers to easily distribute and monetize their video assets — all without having to integrate with, pay upfront costs to, or sign a contract with white-label video platform vendors and ad serving platforms. Instead of signing a contract with RealGravity, content creators get free access to its video content management, distribution platform and ad serving capabilities for free. Once they’ve signed up, they can use the platform to distribute videos to their own sites or distribution partners, enable them to make videos available to third-party publishers for a fee, or monetize those assets using its ad serving platform. Like 5min, the realGravity marketplace also allows web publishers to choose from more than 500,000 professional videos to add to their sites to increase engagement. Instead of asking for upfront fees, RealGravity charges a flat CPM-based transaction fee every time a publisher sells an ad or uses someone else’s content. Instead, it only charges for raw bandwidth of videos that run without ads, which comes to 50 cents per thousand streams, or less than 10 cents per GB. The end result is that RealGravity says it can save publishers 50 to 80 percent over online platforms such as Brightcove or Ooyala.